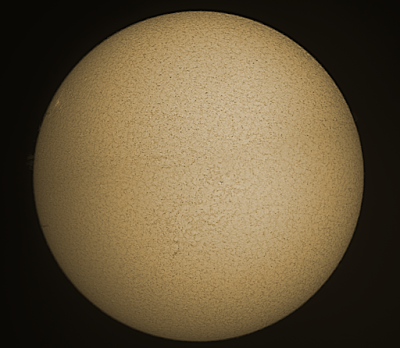 A PST and an Altair GPCam were used to image the Sun in H-alpha light. Best 60% of 1000 frames were stacked. Top and bottom were stitched together with Photoshop CC. Unsharp masked and coloured also in Photoshop. Click on the image to get a closer view.